"Stringing was also easy with this string. The string just unravels in your hand and weaves freely. 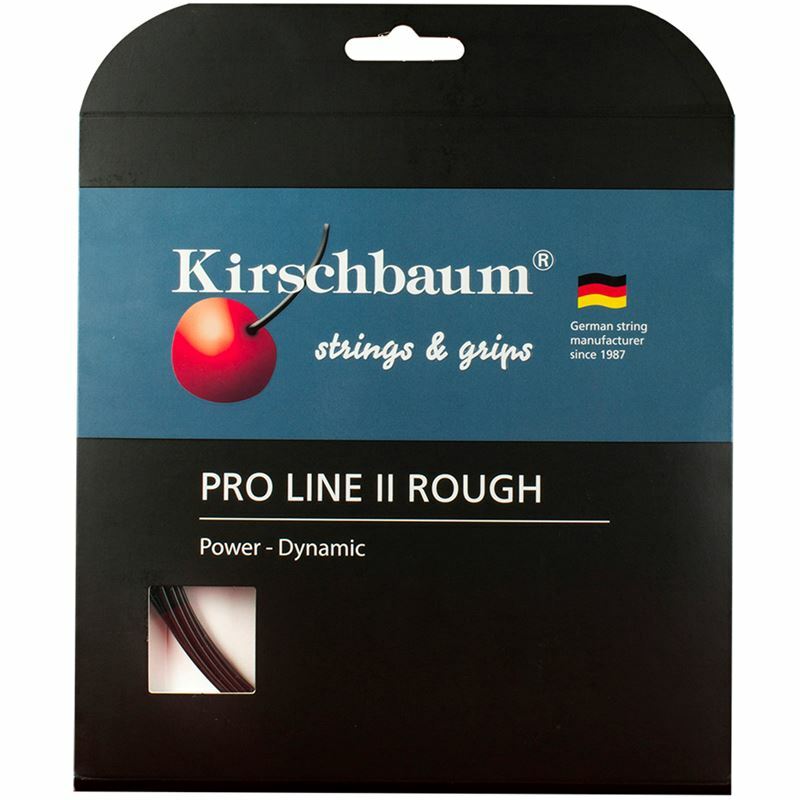 My current string and tension set up is Kirschbaum Pro Line Evolution 125/ Kirschbaum Touch Dura 125 @ 59/57.5lbs. I like this setup because the Evo is quite easy on the arm and mixed with Dura it offers plenty of control and plays quite 'soft'. Because I was now going to be playing with a full bed of poly I decided to drop the tension, 52lbs, which I still expected to feel firm. Kirschbaum XPLOSIVE Control proved me wrong! It provides solid contact with the ball, so control is definitely there, but I was pleasantly surprised how comfortable it felt. No noticeable shock or vibration. The longer the game went on, the more I enjoyed playing with it. My next step will be to try it in place of Pro Line Evolution in my usual set up and tensions and see how it feels. As with the XPLOSIVE Speed, it is definitely a string I will be adding to my range". "Stringing with this string was very easy. Easier than any other poly I have strung with. There was no kinking and it is quite pliable so easy to weave. It has noticeable elongation when tensioned. Because the elongation was good I expected power or "Speed' from this string and I wasn't disappointed. Now to be fair I did expect power when compared to my usual set up (Kirschbaum Pro Line Evolution 125/Kirschbaum Touch Dura 125 @ 59/57.5lbs) because it is a thinner gauge and a lower tension than what I use but it is obviously still a powerful poly string. i will be trying it a higher tension next time I use it. What was also noticeable was how easy on the arm it was. It doesn't feel like a poly to play with which is a good thing. 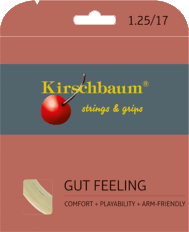 My feeling is the XPLOSIVE range is going to be a popular range for Kirschbaum, I know I will be stocking both". "Really nice string! I felt I had both power and control with this string. It is a nicer to feel to what I have currently!" Erik is an ITF Futures player based in Doha. He currently uses a hybrid setup of Kirschbaum Max Power Rough 125/RS Paris Octagon 125, also strung at 24k. His usual DT reading is 41. With all the advertising and write-ups about Luxilon Smart string you would be forgiven for thinking that you will never hit a bad shot again. While this isn't the case it is a very nice string to play with. My usual set up is a co-poly/polyamide hybrid strung at 59/57lbs. The low recommended tension range advised by Luxilon concerned me so I strung it at the highest end of the range, 48lbs. Whether it was this difference in tension or not, the first thing I would say is it is a comfortable string to play with, easy on the arm. If I am being honest, I didn't notice any extra firmness on aggressive strokes, in fact I found it difficult at times to control the ball (probably that the tension is a lot lower than I usually play with). I did find power easy with it also spin ad touch shots around the net. So while I can't say I found it did everything it advertised, I will say it is a very nice string to play with. Update: The above feedback was based on 2 hours singles play on the 2.2.19. I played again on the 5.2.19 and prior to playing I tested the DT. It had dropped to 30, so tension loss is evident, however it still played quite nicely. Tester: Cliff Acaso - Tennis Pro at The Intercontinental Hotel, Doha. "The feel was amazing, it felt like an extension of my arm. Control was also good. It's absolutely great for flat hitters. OK for spin but much preferred hitting flat with it". Tester: Rob Leahy - ERSA and USRSA Master Racket Technician. "For a new string on the market, my first impression was nice packaging and I also liked how easy it was to get at the string. It was nice to string with, no coiling and easy to handle. The fact that it felt nice to string with I expected a nice feel off it when I played, and I wasn't disappointed. It was easy on the arm, as much as poly go and you can generate plenty of spin with it. It also maintained its tension quite well". Dylan currently uses Babolat Pro Hurricane Tour 125. "I found it stiffer than my Pro Hurricane Tour 125, so you need to swing fast to get some 'pop' off the ball. Overall not a bad string to play with. I would rate it 6-7 out of 10". 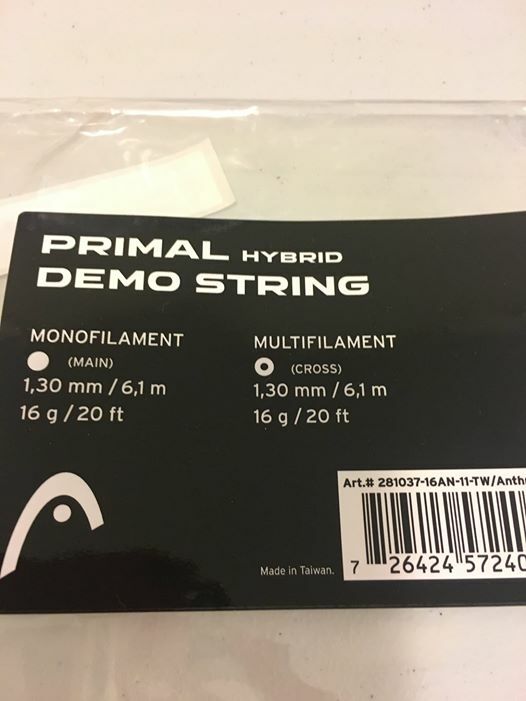 String: Head Primal Hybrid 130. I was given this set, along with some others, at the ERSA Symposium in Dusseldorf this year. 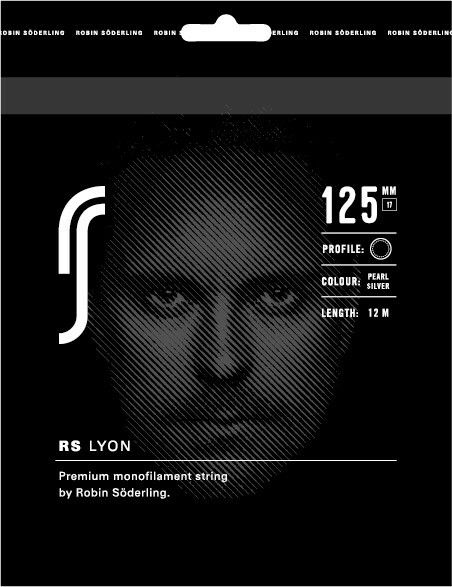 As I currently play with a hybrid set up I was really looking forward to trying out this string. The packaging suggests the mono in the mains and the multi in the crosses but i always play with it reversed so that is the way I set it up. "The string felt really nice from the first shot. I was surprised how soft it felt on impact and very comfortable on the arm. Despite the soft feeling, I still had plenty of control. It felt really nice around the net and had plenty of power on serve. I really liked Primal but if I had to say one negative thing about it, it would be the tension loss. It was noticeable after a match or two". 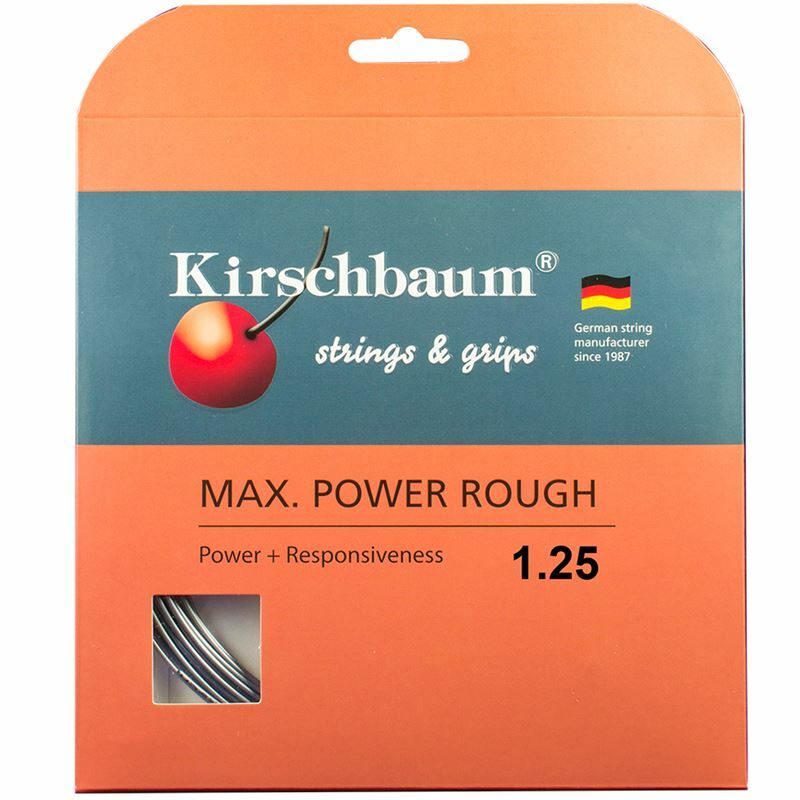 Dylan previously tested Kirschbaum Max Rough Rough 125. "I much preferred this to the Max Power rough. It had a softer feel and was more comfortable on the arm. I found it easier to generate power and spin with this string. I would rate it 8 out of 10".